Conventional physics is full of nonsense, like black holes, worm holes, white holes, electron holes, the nuclear theory of the atom, and Quantum Mechanics. 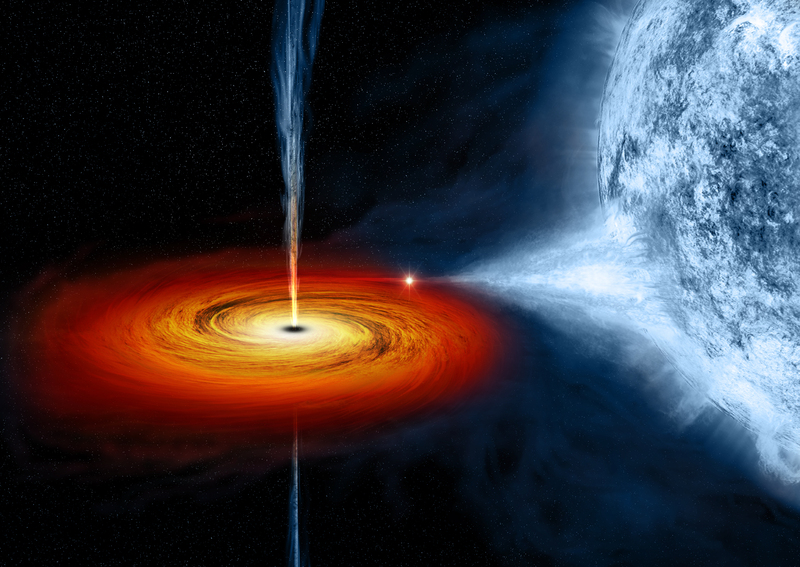 As this picture shows, jets come out of black holes–this is not some of the “accretion material” being expelled. According to the Reciprocal System this jet is moving at upper range speeds of 2c to 3c–the third dimension of motion, reduced (of course) by the gravitational pull of the black hole and galaxy. Eventually this matter will leave our sector and enter the cosmic sector. Study the Reciprocal System and prove it for yourself.